Format: on-line webinar, duration 2 hours, including Q&A sessions. Documents’ templates for free download. Seminar description: you are the functional manager or top manager, or the company CEO? Is it actual for you to understand what value IT may bring to your business? There are a number of modern approaches to IT – Business alignment, and our course goal is to give non-IT managers a clear view on best practices of management and collaboration with their IT colleagues. And reach the maximum business benefits from your IT department and services. The course is based on world recognized best practices and presenter’s examples from his own practical experience. Presenter: Danil Dintsis, Ph. D. (in System Analysis and Management in technical systems), IT manager with 10+ years’ experience, including projects and portfolios with Microsoft, Citrix, Siemens Telecom. 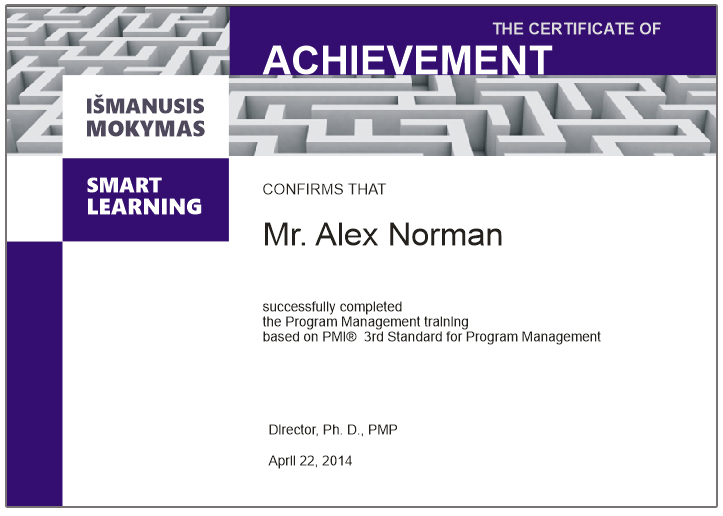 Certified specialist in Program and Project management (PgMP®,PMP®), IT service management by EXIN® (European Information Institute). You may use any device: desktop computer, laptop, tablet computer, or smartphone. The following platforms are appropriate: Windows, Windows RT, Windows Phone, iOS, Android 6.0 and newer, MacOS 10 and newer. You need Internet connection with minimum 512 kb/s (WiFi, 4G, cable connection, or DSL are preferable; 3G connection may be).